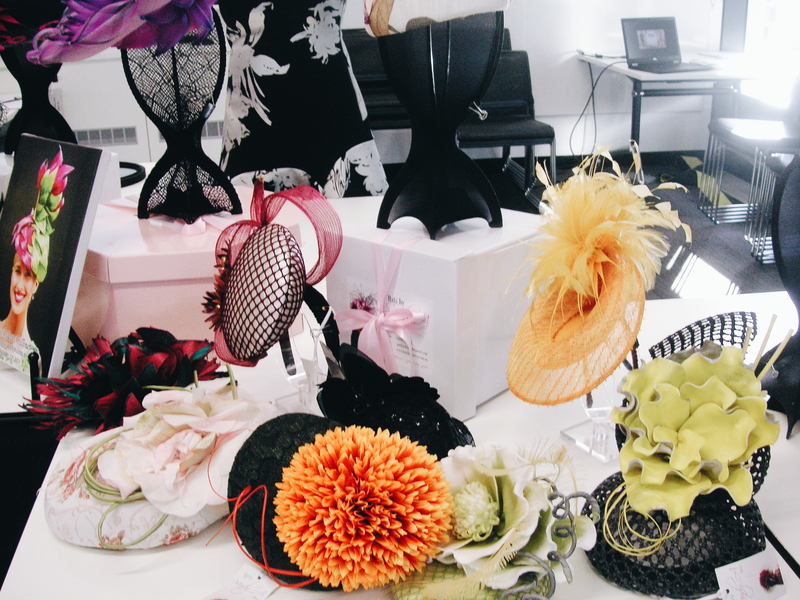 It’s not everyday that you associate engineering with fashion or style, but that’s exactly what a few at engineering company Aurecon were trying to get people to re-think. For big companies and corporates, it’s the norm to have an end of month staff get together, nothing special, just some food and nibbles. No, not at Aurecon apparently. 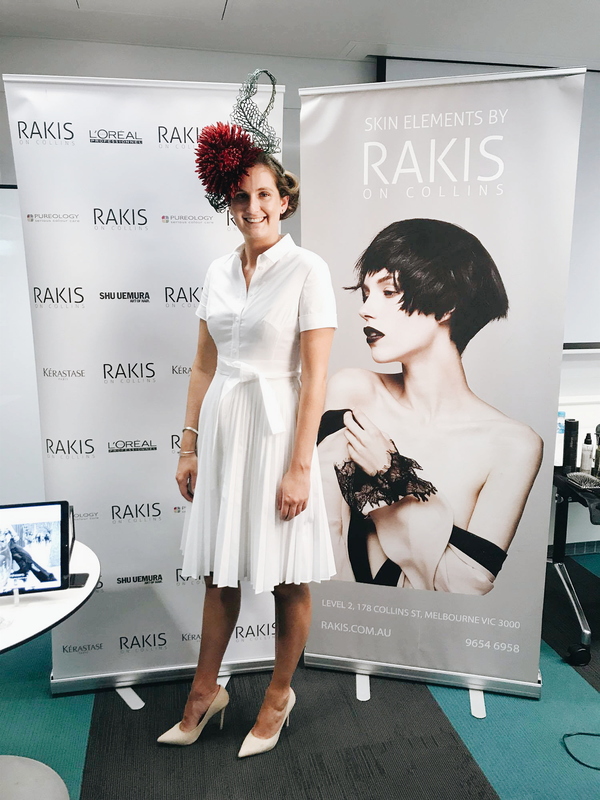 For the month of September 2017, they decided to do something Spring Racing related, and this is where we come in, along with top Melbourne hairdressing salon Rakis on Collins. 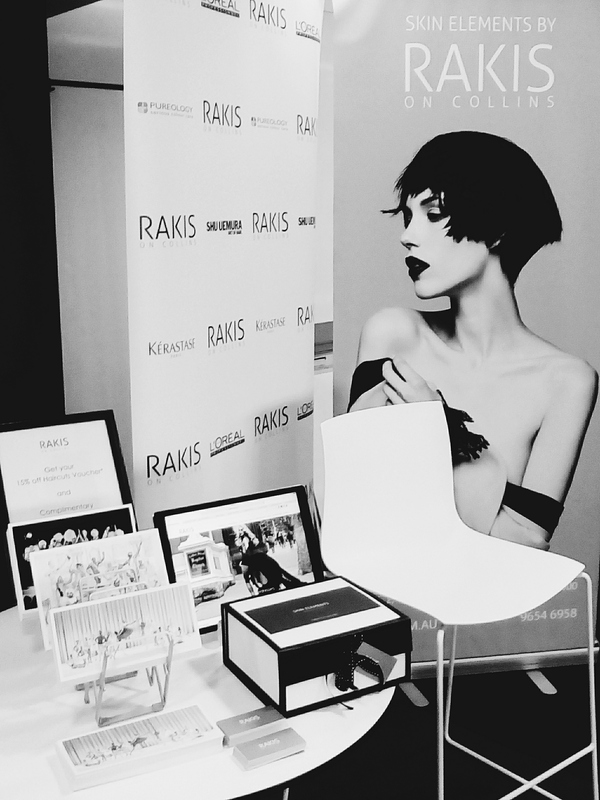 With Spring Racing season on and Melbourne Cup around the corner on 7 November, Aurecon roped in British fashion retailer Karen Millen, Melbourne based men’s accessories designer SartorialMelbourne aka Spiro and milliner Sandy Aslett to be involved in this pop up event, it was an opportunity that we had to share with Rakis on Collins and get them involved as the event really needed a heavyweight hair presence. We’ve done our fair share of pop up stands, trade fair stands, installations etc. but we’re so glad we managed to pull off a live hair demonstration, for the first time. 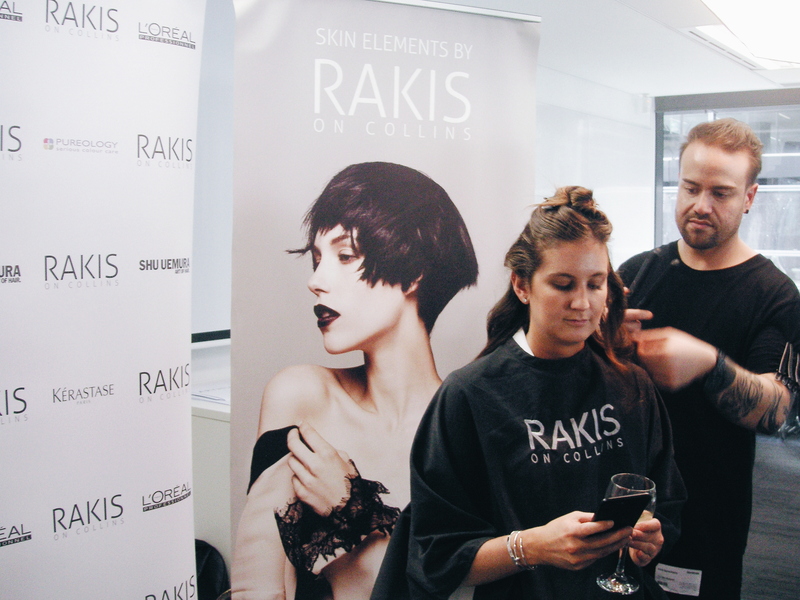 We managed to secure Creative Director Chris Geracitano from Rakis on Collins to do a LIVE hair up demonstration on one of the lovely Aurecon staff Charlotte at the stand that we coordinated and set up for the salon. Check out the hair that he did for Charlotte below (in under 40 minutes, that’s what you get with over 17 years of hairdressing experience, very impressive! ), simply sculptural and accentuated perfectly with Sandy’s headpiece. 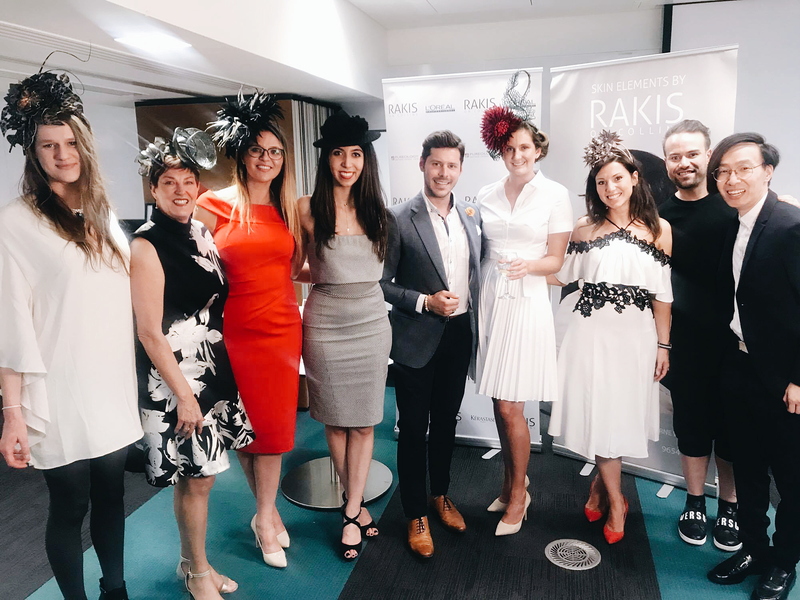 It was a really good turnout from the Aurecon staff on a lovely Friday afternoon in September, the Spring Racing Carnival mood was palpable when some of the female staff looked gorgeous wearing the recommended outfits by Karen Millen. 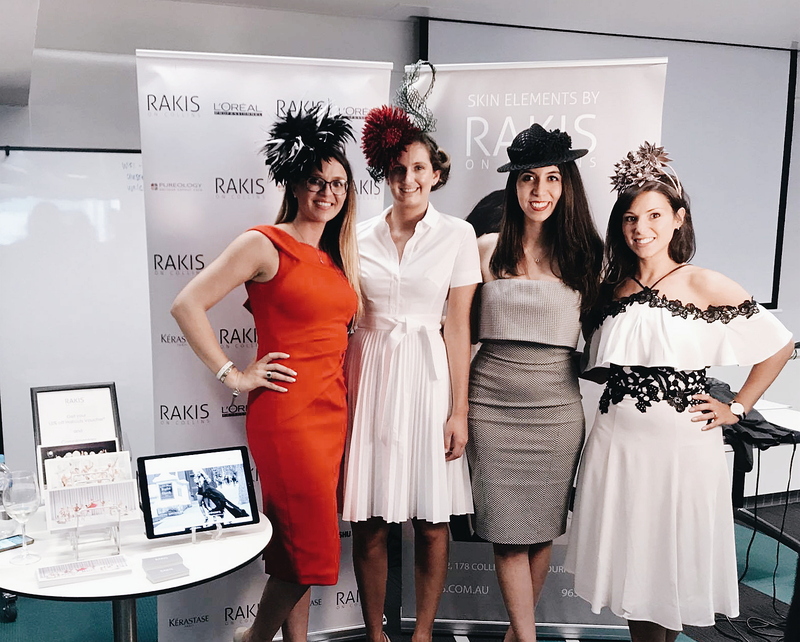 Relevance, engagement, brand exposure, networking, drinks and nibbles, for a 2 hour pop up event, we think that count as good return on investment. 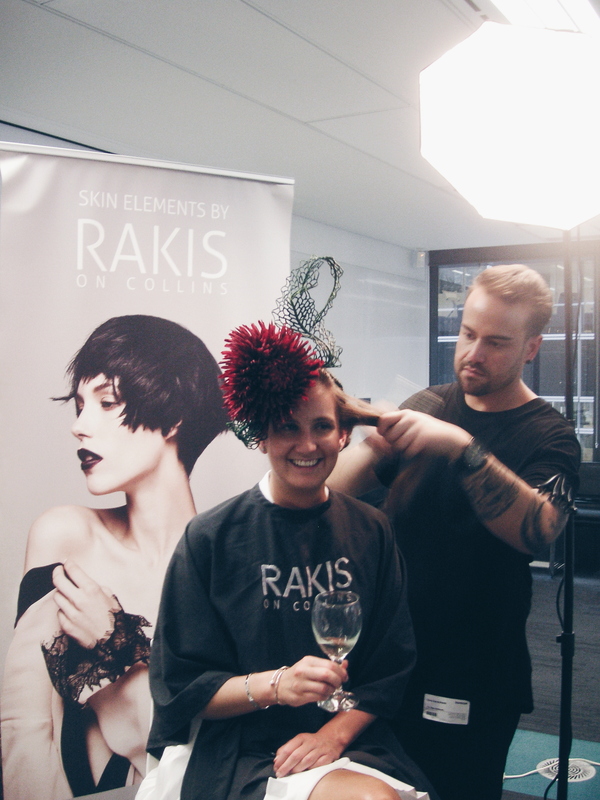 The last we heard, some of the Aurecon staff and even their friends have made appointments with Rakis on Collins, not just with Creative Director Chris but with other stylists too. P.S. Our Creative Director Alvin Chia would like to thank Tara (above forth from left) from Aurecon for this fantastic opportunity, fancy how this whole collaboration idea came about from a catch up over drinks!